The Weinstein Company clearly knew what they were doing by delaying “The Imitation Game” a week. 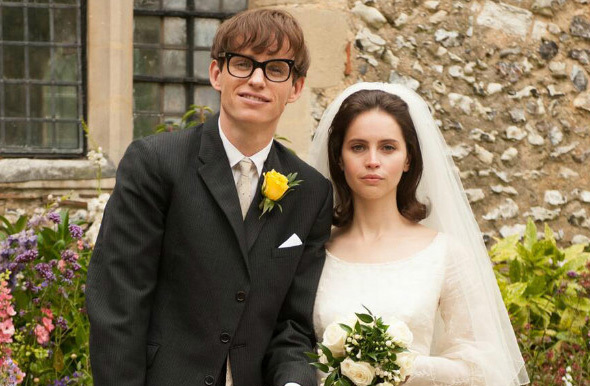 The Morten Tyldum-directed Alan Turing biopic trumped all its fellow fall Oscar hopefuls by finding one of the best per-theater-averages of all time. In 4 theaters, “Imitation” grossed an epic $482,000 for a $120,500 per-theater-average. That’s the sixth best per-theater-average ever for a live action film, following “The Grand Budapest Hotel,” “The Master,” “Moonrise Kingdom,” “Dreamgirls” and “American Hustle.” “Budapest” notably holds the overall record with $202,792, meaning “The Imitation Game” has to settle for 2014’s second best. Notably, the numbers for “Game” — which stars Benedict Cumberbatch as Turing, the closeted gay man who cracked Nazi Germany’s Enigma code during World War II — topped the trio of films that recently opened that each feature a performance Cumberbatch will likely be competing against for the Best Actor Oscar: Michael Keaton in “Birdman” ($106,099 per theater), Steve Carell in “Foxcatcher” ($45,146 per theater) and Eddie Redmayne in “The Theory of Everything” ($41,753 per theater). be happy to achieve as well. it took in $5,082,000, averaging an impressive $6,337 per theater as it placed #7 on the overall box office top 10. Finally, there was more good news for a film unlikely to be part of this years Oscar talk (though a fantastic film nonetheless): Jennifer Kent’s “The Babadook.” The Australian horror film grossed a very respectable $27,000 from 3 theaters this weekend, averaging $9,000 per theater.